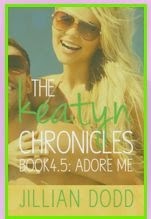 Book Five in The Keatyn Chronicles is NOW AVAILABLE! If you are not already a KC Addict, now is the perfect time to start. Make sure to add to your Goodreads, pick up your copy and enter the GIVEAWAY for $50 Amazon & $50 iTunes Gift Cards below! I was told if I went away, he’d forget about me, lose interest, and move on. So it’s time for me to take matters into my own hands. It’s time for me to fight back. See below for information on all the other books & the novella in this series! 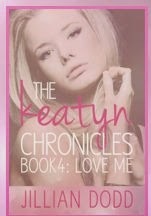 Here is a link to the Keatyn Chronicles Boy Facebook Discussion Group if any of you have not joined yet! Keatyn has everything she ever dreamed of. Her life is following the script she wrote for the perfect high school experience. She’s popular, goes to the best parties, dates the hottest guy, and sits at the most coveted lunch table. She’s just not sure she wants it anymore. Because really, things aren’t all that perfect. Her best friend is threatening to tell everyone her perfect relationship is a scam. Her perfect boyfriend gets drunk at every party they go to. It’s exhausting always trying to look and act perfect. And deep down, she isn’t sure if she has any true friends. To add to the drama, her movie star mom’s long-time fan has turned stalker. An older man is flirting with her and telling her they should make a movie together. And she’s crushing on an adorable surfer. Dating a guy like him would mean committing social suicide. So she writes a new script. One where all the pieces of her life will come together in perfect harmony. But little does she know, there’s someone who will do anything to make sure that doesn’t happen. 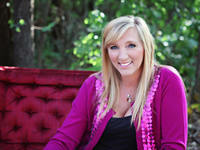 Jillian is the author of the That Boy series and The Keatyn Chronicles. She grew up on a farm in Nebraska, where she developed a love for Midwestern boys and Nebraska football. She lives in Texas with her family.